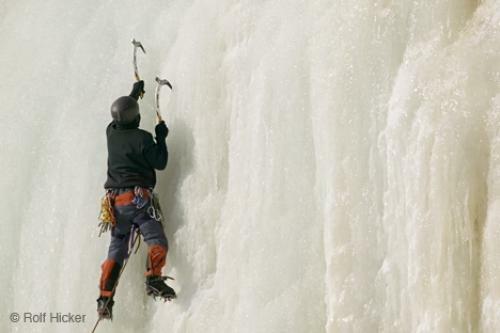 Step by step an ice climber, climbing in Quebec, scales the ice formations of Montmorency Falls. The frozen Montmorency Falls with a ice climber in Quebec, Canada. Montmorency Falls in Quebec, Canada.